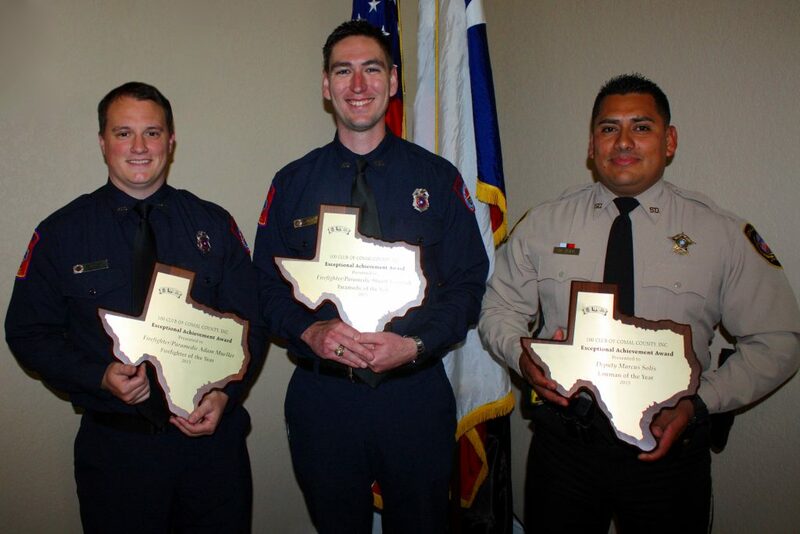 Congratulations to Firefighter/Paramedic Adam Mueller, Firefighter/Paramedic Stuart Toeppich and Deputy Marcus Solis for receiving Exceptional Achievement Awards at the 100 Club of Comal County’s Annual Dinner. (Left to right)Adam Mueller is from New Braunfels Fire Department. Stuart Toeppich is from New Braunfels Fire Department. Deputy Marcus Solis is from Comal County Sheriff’s Office.